Best Nevis Mountain Guiding offers guided walks on Ben Nevis and in areas including Knoydart, the Isle of Skye, Glen Coe and the Cairngorms with an experienced and certified Summer and Winter Mountain Leader. Want to climb mountains in Glen Coe? Conquer the Cuillin on Skye? Learn the principles and experience snow holing in the Cairngorms? Walk into remote Knoydart? Or stand on the summit of the highest mountain of the UK, Ben Nevis? BEST NEVIS Mountain Guiding offers affordable guided walks at all those destinations! Fort William based, good local knowledge and excellent rates!! Want to walk up Ben Nevis with your family, but not want to spend all your holiday money on a mountain guide? Contact BEST NEVIS Mountain Guiding for the best rates...and the best routes! 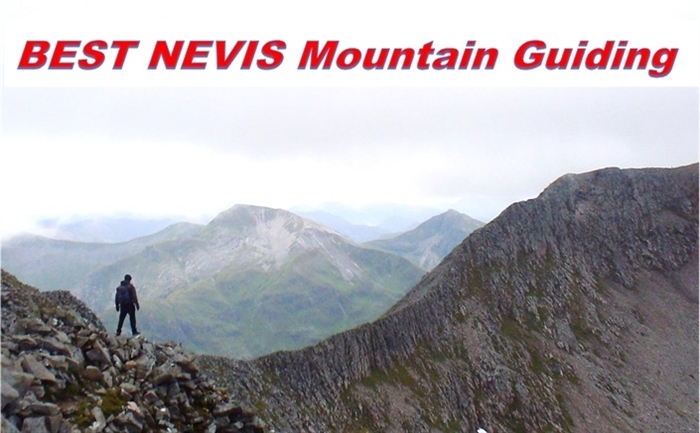 BEST NEVIS Mountain Guiding offers guided walks to the summit of Ben Nevis from £45pp (min 2 people). The larger the group the less you pay per person!